One of the many views from this Tai Po walking tour. If you’re looking to experience Hong Kong off the beaten path, you’ll seriously want to experience this 9 km (5.5 mi) Tai Po walking tour. 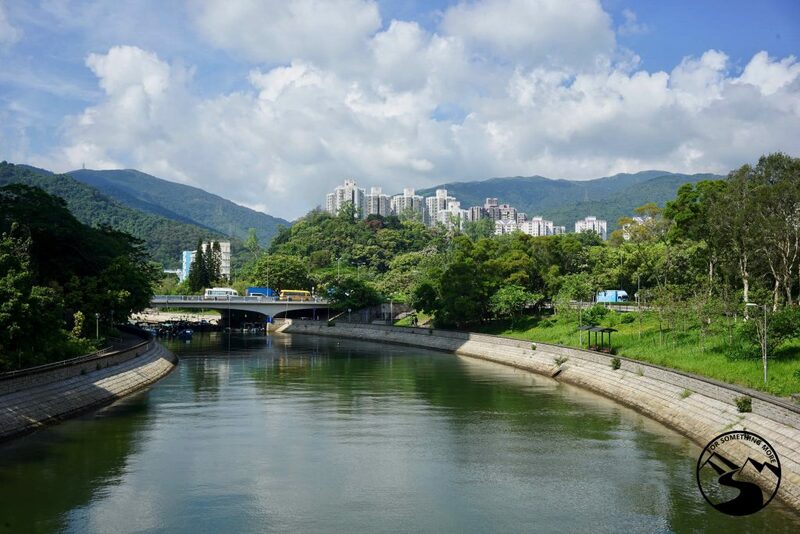 With the many waterways that criss cross through Tai Po as well as the countless Hong Kong soul foods that you can sample along the way, Tai Po is arguably the Venice of Hong Kong. But don’t take our word for it, have a wander yourself along Tai Po’s beautiful canals, through Tai Po’s vibrant open air street markets and even through a 126 year old ancient and solemn temple dedicated to both the God of Literature and the God of Martial Arts. Tai Po is a magical place just waiting for you to explore! If you’d like us to guide you on this Tai Po walking tour (so all you’ll have to do is enjoy the sights, sounds, smells and tastes, and NOT have to worry about navigating) just give a click below, and we’ll get planning with you! We would be glad to guide you! To enjoy this Tai Po walking tour, you won’t need very much gear at all. You’ll be on sidewalks and/or paved paths the entire time, and the entire loop is virtually flat. The only real “element” you should prepare for is the sun, both in terms of bringing some sun protection and also some water. When we do this Tai Po walking tour, we bring the following items, and we’re always well prepared. If you’re not inclined to eat at the many spots along the route, we also suggest you bring some light snacks. Even on a this Tai Po walking tour, it’s important to have the right shoes. These are what we use/have used and love, so we think you will too! If it’s super sunny, you’ll not need one of these. However, the summers in Hong Kong are rainy, and the fall/winters are cool. So, it never hurts to have a rain jacket*. On the off chance that the weather turns, and it very well may, these will keep you dry and a bit warmer. We love these water bottles because they are insulated and reusable. 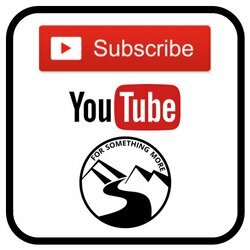 Reduce your plastic waste by using these! You’ll be able to refill these at various points along this Tai Po walking tour, and that’ll save you a bit of money too. If you do this Tai Po walking tour on a sunny day, you’ll seriously want to bring along adequate sun protection. We love this camera and lens, and this whole setup is weatherproof too, so we don’t have to worry about it in the rain! There are TONS of spots along this route to take fantastic pictures, and that means you’ll want to make sure you have a camera. To do this Tai Po walking tour, simply take the MTR to the Tai Po Market Station. From there, we recommend you use our Tai Po Walking Tour picture guide and Tai Po Walking Tour Google Map, both located below. Again if you’d like us to guide you on this Tai Po walking tour (so all you’ll have to do is enjoy the sights, sounds, smells and tastes, and NOT have to worry about navigating) just give a click below, and we’ll get planning with you! We would be glad to guide you! This route is very easy, and while it is a bit long, it’s completely flat the entire time. We consider this family friendly, and that means prams will be fine. You’ll even be able to bring your. dog if you have one! This route is 9 km (~5.5 mi.) long. If you walk quickly, and you don’t spend much time at each site along the way, this will take ~2 hours. Walking at a moderate pace and/or spending a moderate amount of time at each site along the way, this Tai Po walking tour will take ~3-4 hours. Keen to meander at a slow pace and/or spend a lot of time at each site along the way? Plan on this walking tour taking ~4-5 hours. 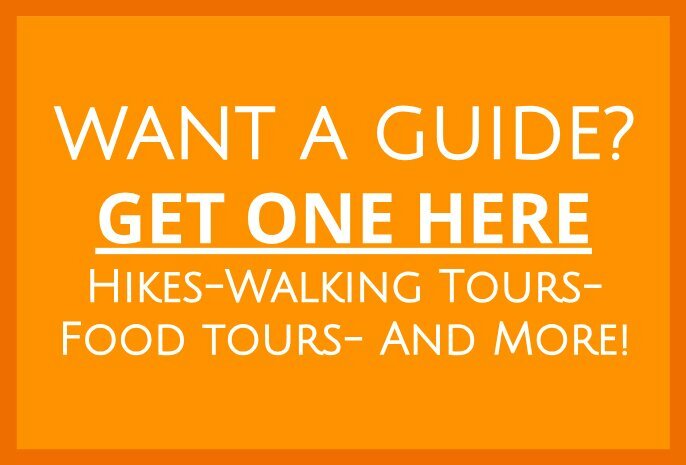 To guide yourself along this Tai Po walking tour, we suggest you use both our Tai Po Walking Tour Google Map and the Tai Po walking tour picture guide (below). Take your time, and enjoy the sites, sounds, smells and tastes! Our Tai Po walking tour map has numbered waypoints all along the way. We recommend you start at number 1 and end at number 20, but feel free to do it in any way you’d like. Our Picture guide below follows along with our Tai Po Walking Tour Google Map. Some of the numbered waypoints that you will find on our map are also pictured below. So, in any of the following pictures, when we reference a particular waypoint number, we are referring to the numbered waypoints in our map. This is Waypoint #1, “Northern Entrance of Tai Po Market”. Start here, at the northern entrance of Tai Po Market, and walk straight ahead. This is Waypoint #2, “Informal Farmer’s Market”. If you’re at Tai Po Market early in the morning, enjoy the locally sourced items at this informal farmer’s market. This is Waypoint #3, “Fu Shin Street Wet Market”. Cross the street and walk through the Fu Shin Open Air Street Market. There are many fruit displays at the Fu Shin market. There is plenty of seafood in the market too! This is Waypoint #4, “Man Mo Temple”. If you go inside the 126 year old Man Mo Temple, be respectful of the people who come here to worship. Cross the street, and just before the bridge, turn right into the Kwong Fuk Bridge Garden. But of course, don’t forget to enjoy the Kwong Fuk Bridge. This is Waypoint #5, “Kwong Fuk Bridge”. This is Waypoint #6, “Kwong Fuk Bridge Garden”. Walk through the garden and down to the sidewalk running along the river. Once you’re out on the sidewalk which runs along the river, take a look behind you to appreciate the view. Walk along the river until you reach waypoint #7. You’ll go under a couple bridges along the way. Go up these stairs, to the right, and you’ll reach Waypoint #7, “Kwong Nam Sitting Out Area”. Enjoy a break here if you’d like. This is the view from Waypoint #7 “Kwong Nam Sitting Out Area”. Walk across this bridge, and head towards Waypoint #8 “Fu Kee Riverside Restaurant”. But make sure to enjoy the views from the bridge. This is Waypoint #8, “Fu Kee Riverside Restaurant”. This is the entrance to the Fu Kee Riverside Restaurant. You can eat out on their patio, if the weather permits. Walk across this bridge, the one nearest to waypoint #8, and continue along our route. But again, enjoy the views from the bridge. Have a look out at the Tolo Harbor. At the end of the bridge, these stairs will be on your left. Head down them. Then on the walking path next to the bike path, loop under the bridge. Head straight along the walking path. Cross under this bridge. Join the old men who are usually here fishing, if you care to! Enjoy the beautiful views of the Tolo Harbor and, off in the distance, Ma On Shan (Horse Saddle Mountain). Walk straight along this path. Take a break in the grassy field to fly a kite! Many people do this here on a windy day. Continue straight through the arch. This is Waypoint #9,“Spiral Lookout Tower”. Feel free to climb up it and enjoy the views. Or, if you’d prefer to skip this, continue on to Waypoint #10. Admission is free, and it’s open daily from 7AM to 7PM. If you’d like to rent a bike here, have at it! This is the view from atop the Spiral Lookout Tower. Way off in the distance, on the left, you can see Waypoint #10, “Tai Po Waterfront Pier”. If you choose to venture out there, you’ll simply turn around and retrace your steps to get back from the pier and to continue on along our route. Head up this ramp, and cross the bridge to head to Waypoint #11, “Yeun Chau Tsai Park”. Head straight across this bridge. Go down these stairs to get to Waypoint #11, “Yeun Chau Tsai Park”. This is Waypoint #11, “Yuen Chau Tsai Park”. Walk through the park on the winding paved path. Check out the Dragon Boats! Walk around to the left of this signboard. Keep on winding down the path. This is Waypoint #12, “Public Toilet”. Cross the bike path, and bear to the right. Walk straight until you reach the traffic circle. From here, you’ll see the traffic circle on your left. Bear to the right, following the sidewalk around. Cross the street, and bear to the left. You are heading to Waypoint #13. This is Waypoint #13, “Bus Stop”. Walk straight. Walk across this bridge, and then go down the path to the right. Make sure to enjoy the views from the bridge! Walk down to this tunnel, and walk straight through it. At the end of the tunnel, turn right. Then, cross the bike path, and walk up the stairs. Walk straight ahead along Kwong Fuk Road. These steps you’ll see on your left lead up to Waypoint #14, “Green Hub”. Stop here if you’d like some locally sourced vegan cuisine. Otherwise, continue on. Cross this street and stick to the right. If you would like to go to Waypoint #15, “King’s Belly” for some authentic British eats and drinks, go left at this fork. Otherwise, go right to continue on to Waypoint #16. This is Waypoint #15, “King’s Belly”. This is Waypoint #16, “Corner of Kwong Fuk Rd. and Wan Tau St.”. Cross the street, and then turn left. This is Waypoint #17, “Tai Ming Lane”. Turn right here. Immediately after turning left on Tai Ming Lane, stop here to enjoy some of the best Beef Brisket Noodle Soup in all of Hong Kong. The restaurant information for 群記清湯腩 is here! If you want to know how to order at this all-Chinese joint, and you don’t speak Cantonese, check out our Hong Kong Soul Food Guide. Stroll into Tai Ming Lane Square. This is Waypoint #19, “Tai Ming Lane Square”. Enjoy some people watching here, or if you dare, a bowl of snake or turtle soup. You’ll have to look around for the shop with the picture of the Chinese Cobra and turtles, if you’d like a bowl! Tai Ming Lane Square is a popular place for old folks to relax, and you can relax here too. Tai Ming Lane Square is a GREAT place to do some people watching. If you have kids, and if they have any energy left at this point, this play structure is in Tai Ming Lane Square too. If you’re looking for a quick, and classic, Hong Kong snack, check out this shop. This is Waypoint #20, “Snack Shop”. Well there ya have it, our Tai Po walking tour! If you’ve fallen in love with Tai Po by this point, you’ll definitely want to venture up this way again to discover more of Tai Po’s secrets. More specifically, you should consider checking out the Ng Tung Chai Waterfalls hike or even the Dragon’s Back of the New Territories hike, both located in Tai Po. If you want to go even father off the beaten path, the Ping Nam Stream waterfalls are some of the most spectacular in all of Hong Kong. If you’d like another family-friendly option, consider this Day Trip to Sha Tin! Whatever you do, if you have questions or comments, leave them below, and we’ll get back to you in a flash!